"Did Mary Have Knowledge of Christ's Divinity?" "Did Mary Have Knowledge of Christ's Divinity?" “Mary, Did You Know?” is a popular song written by Mark Lowry that seems to question Mary’s knowledge of Christ’s divinity. Unfortunately, there have been many songs and movies that portray Mary—and sometimes even Christ Himself—as ignorant of what their roles are in God’s plan, as in the recent film, “The Young Messiah”. So, what did Mary know about Jesus, after being told by an angel that she would bear the Son of God? The Catholic Church has always taught that the Holy Spirit revealed to Mary who her Son was and all He would accomplish. Simeon’s prophecy perhaps informed her (if she didn’t know it already) of another aspect of her role as the Mother of God: that a sword would pierce her heart (Luke 2:25–35). There are countless verses in Scripture which show that Mary and Christ had full knowledge of what their roles were in God’s divine plan. 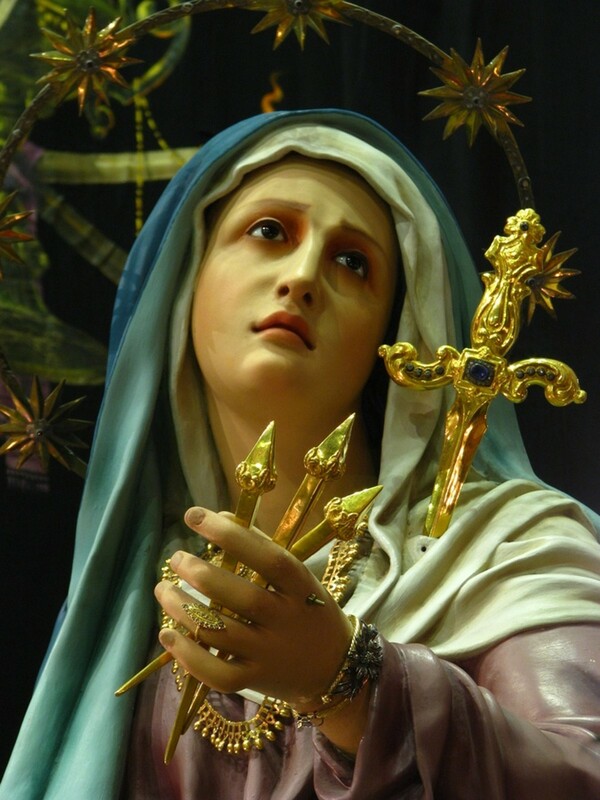 Dave Armstrong continues this train of thought in his book, "The Catholic Mary" Quite Contrary to the Bible?”, saying, "After the Angel Gabriel told the Blessed Virgin in the Annunciation, Mary’s knowledge of Christ’s divinity from that time on is, therefore, an explicitly biblical teaching: 'He will be great and will be called the Son of the Most High; and the Lord God will give to Him the throne of David … and of His Kingdom there will be no end… the Child to be born will be called holy, the Son of God’ (Luke 1:32–35). Apart from the Messianic implications, it can be shown that the Messiah was divine, through cross-referencing in the Old Testament alone; for example, Isaiah 9:6–7, the fact that Jesus was called (by an archangel) Son of God was sufficient to establish His deity or divinity or Godhood. We know this from John 5:17–18 where Jesus called God the Father ‘My Father.’ The Jews then sought to kill Him for blasphemy, because, as St. John tells us, He ‘called God His own Father, making Himself equal with God’ (5:18). This is how ‘Son of God’ was understood in the Jewish mind. Roughly the same thing occurs again in the record of John 10:22–33 (and at that time He also added ‘I and the Father are One’—10:30). "Neither Jesus nor Mary ‘grew in awareness’ or ‘gradually figured out’ Who He was. Such a teaching is theological liberalism and heterodoxy. Jesus knew all along what would happen (including His Resurrection; see, for example, Matthew 16:21–23; Mark 8:31–33; and Luke 9:21–22). The Gospels present one harmonious presentation of Jesus: the real Jesus of verifiable history. The four accounts complement each other. Furthermore, Mary’s knowledge was ‘confirmed’ when she visited Elizabeth, mother of John the Baptist, who called her the ‘Mother of my Lord’ (Luke 1:43). Right after that passage, we see Mary praising God in the famous Magnificat (Luke 1:46–55), because she was to be the Mother of the Son of God, the Messiah, God the Son, God Incarnate—which is precisely why she has been called ‘blessed’ (Luke 1:48). She quite obviously knew all this. It’s spelled out as clear as it could be. Even beyond that, we have the words of Simeon to Joseph and Mary when they presented Jesus in the Temple (Luke 2:22–35). One might point out in retort that Mary and Joseph were ‘amazed’ at these words (2:33), but that could just as easily refer to their amazement that Simeon had this knowledge and word from the Lord; rather than the content of his message. The prophetess Anna also appeared in the Temple at that time and spoke about Jesus’ Messianic mission (Luke 2:36–38). So not only did Mary and Joseph know full well Who Jesus was, so would all who heard (and believed) her words or Simeon’s.